Denture patients: be sure to read our guidelines on proper denture care at home. At Dr. Fasano’s Virginia Beach dental office, we have been fabricating esthetic, full dentures for over a decade. We specialize in customizing dentures that fit each patient and do not look artificial. We take the time to study which teeth are the right size, shape and fit for you instead of making you fit the teeth. Our full dentures are created to replace an entire arch, and are made of premium materials made in the U.S. We don’t use cheap foreign labs to fabricate our dentures. You get a long-lasting, natural-looking set of partial or full dentures that will last for many years. 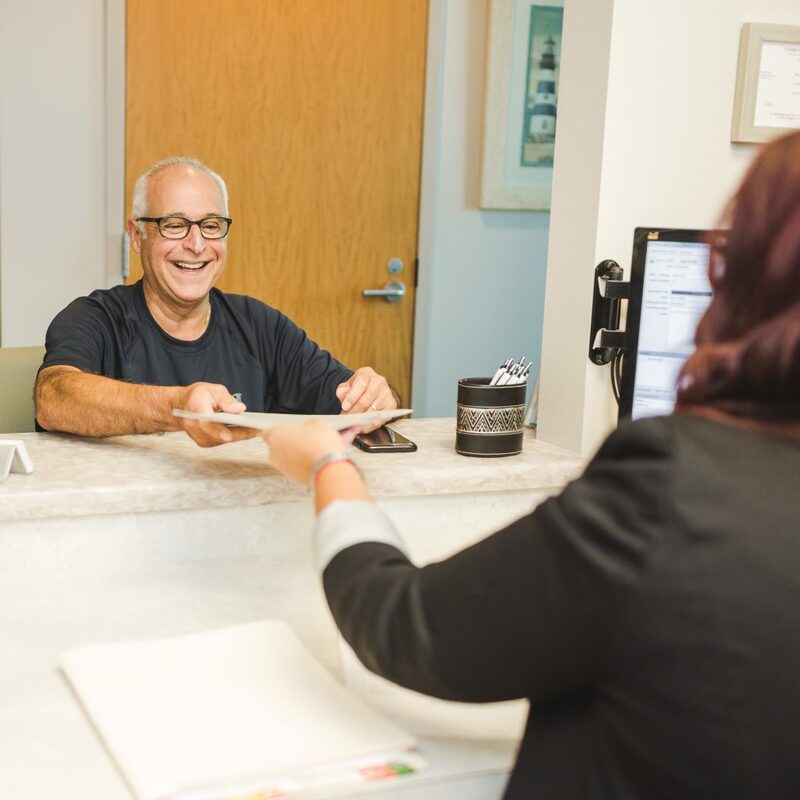 Contact Dr. Fasano’s office today to learn more about your denture options, or request an appointment online. Partial Dentures (also referred to as an arch) serve as a replacement when several teeth in a row are missing. 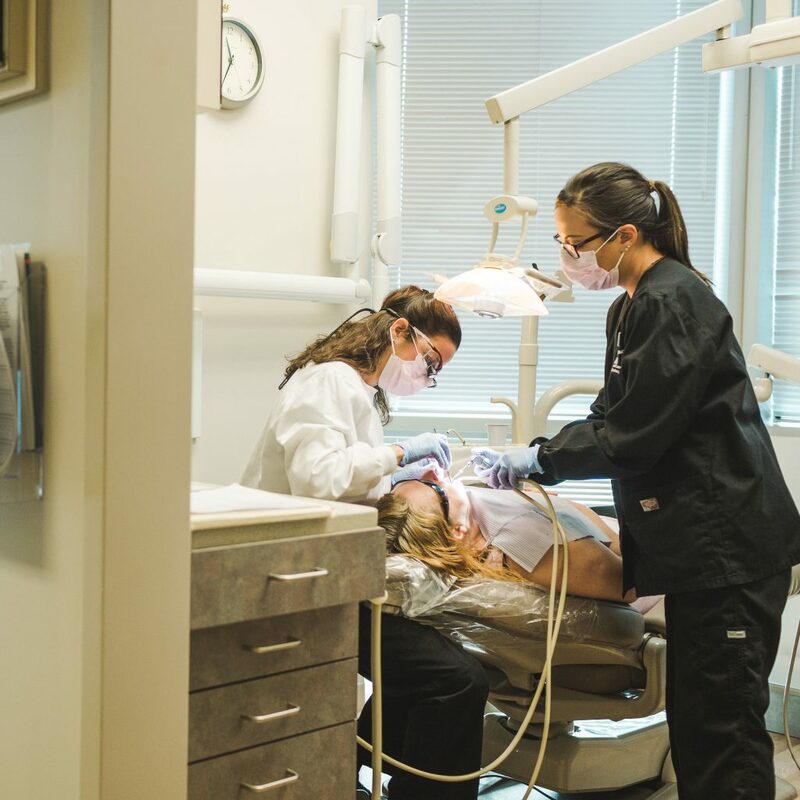 If you are missing two or more teeth, Dr. Fasano can examine you to determine whether partial dentures or a dental bridge is the right choice. Lost teeth can create spaces in your mouth that are difficult to clean, which can cause cavities to form on the remaining teeth. Your existing teeth can shift towards the open space, especially along the same arch. Those small movements can cause changes in the way your teeth function when you bite, causing headaches and jaw pain. All of your teeth have specific purposes, and when some are missing the remaining ones may not be adequate substitutes. This can lead to your remaining teeth cracking, breaking, and eventually falling out. Valplast and TCS: commonly used for patients that desire a non-metallic solution for teeth replacement. This procedure normally takes two visits to be done well. Cast Partial: used when more than half of the teeth in an arch are missing. A cast partial has excellent stability and longevity for patients in need of dentures.